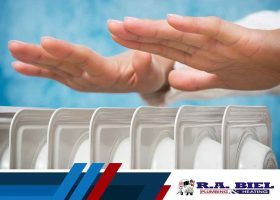 air conditioning Archives - R.A. Biel Plumbing & Heating, Inc. Reliable and fast response! The only company in town that showed up when I had an emergency. 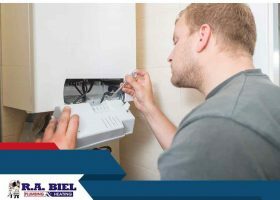 I recommend R.A. Biel to all of my friends and family. Technician Randall was very prompt, very professional, and detailed. I had a simple shower valve leak and it was repaired same day. Reasonable prices as well. Very knowledgeable staff reasonable prices. 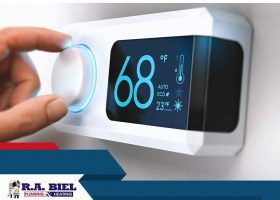 Thank you, you guys did an excellent job and are excellent people to work with, Joyce and I love the new heater and AC unit, heats or cools the place in less than 2 minutes and is nice and quiet. 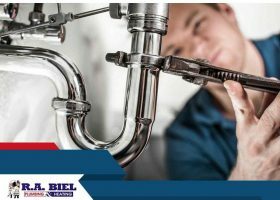 R.A. Biel Plumbing & Heating, Inc.